More than 2,000 residents in Eureka, Kansas, continued to be without power Wednesday night, a day after an EF-3 tornado hit, damaging more than 25 homes and businesses and injuring eight people. 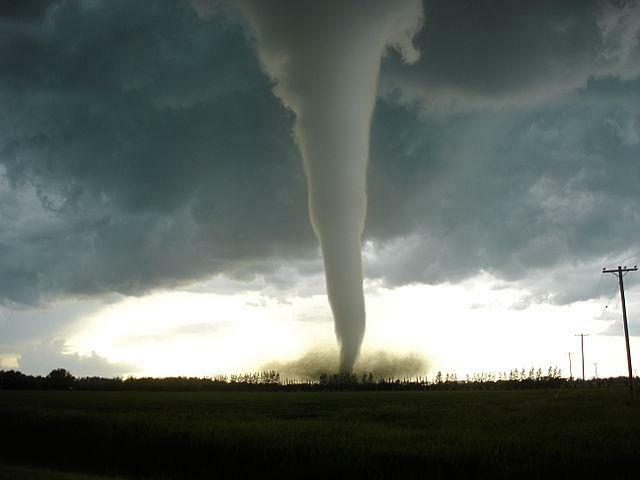 The tornado struck the town, located about 60 miles east of Wichita, at about 7 p.m. Tuesday. Meteorologists at the National Weather Service estimate winds reached between 136 and 165 mph. 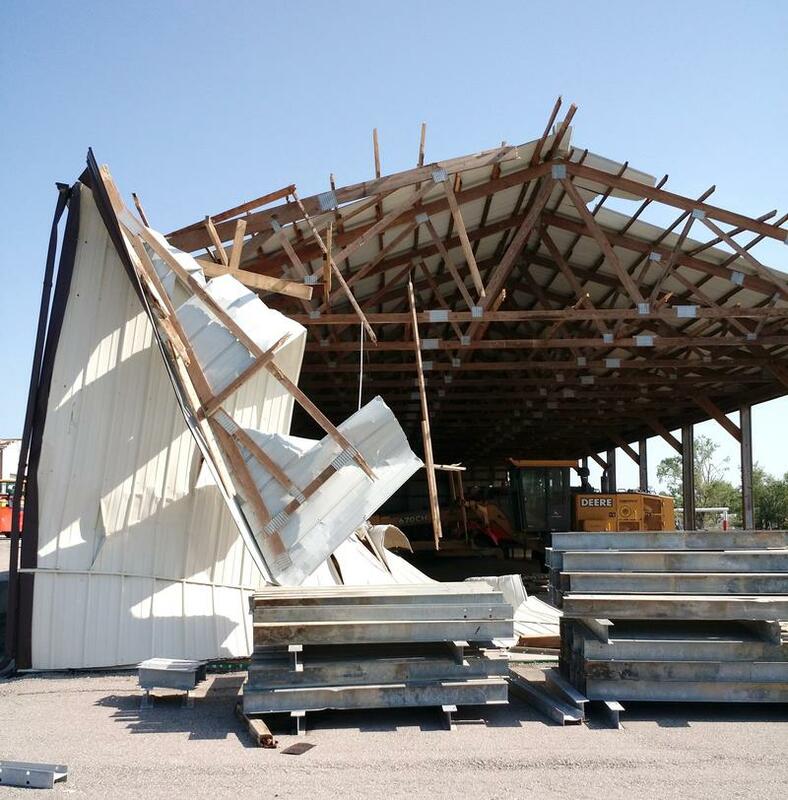 A handful of Johnson County's 197 sirens designed to warn residents of a tornado didn’t go off in South Johnson County, where an EF-1 tornado touched down the night of May 2. “There were some sirens that we found out didn’t activate when they were supposed to and we’re running that down right now,” says Trent Pittman, Johnson County's assistant director of Community Preparedness. Crews in Kansas City, Missouri, spent Thursday cleaning up after severe storms, which spawned tornadoes, swept through the metro area Wednesday night. The National Weather Service reported that three minor to moderate tornadoes touched down in the Kansas City area around 9 p.m. Wednesday — in Raytown and Belton, Missouri, and Overland Park, Kansas. It also reported a tornado touched down a few hours earlier in Big Lake State Park about 100 miles north. Kansas is about to make it through the end of April without a tornado for only the fourth time since record keeping began. Segment 1: Kid Inventor + Astraphobia. Segment 2: Future Of KC's Jazz Museum. Segment 1: How people in the Midwest cope when they have a fear of storms. 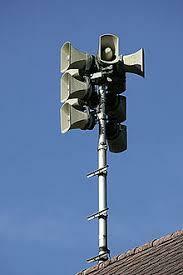 Spring in the Midwest means blooming flowers and warmer weather ... and also tornado siren tests and scary storms. What is it like for someone with a phobia of severe weather? Meet a Leawood fifth grader who is one of five finalists in a nationwide contest for her invention, The Storm Sleeper. However, kids aren't the only ones afraid of storms; we hear about astraphobia and the adults who suffer from it. Emergency preparedness is in the national consciousness in a big way. Today, the Smart Money Experts make a special trip to the studio to discuss preparing your family's finances for the wide-ranging effects of a natural disaster. Then, Kansas City voters in April approved a one-eighth-cent sales tax increase aimed at developing the long-neglected east side of town. Ten years ago this month, a massive tornado nearly wiped Greensburg, Kansas off the map. KCUR's Frank Morris joins us to share how the town's efforts to rebuild became "a laboratory experiment in re-engineering the classic American small town." 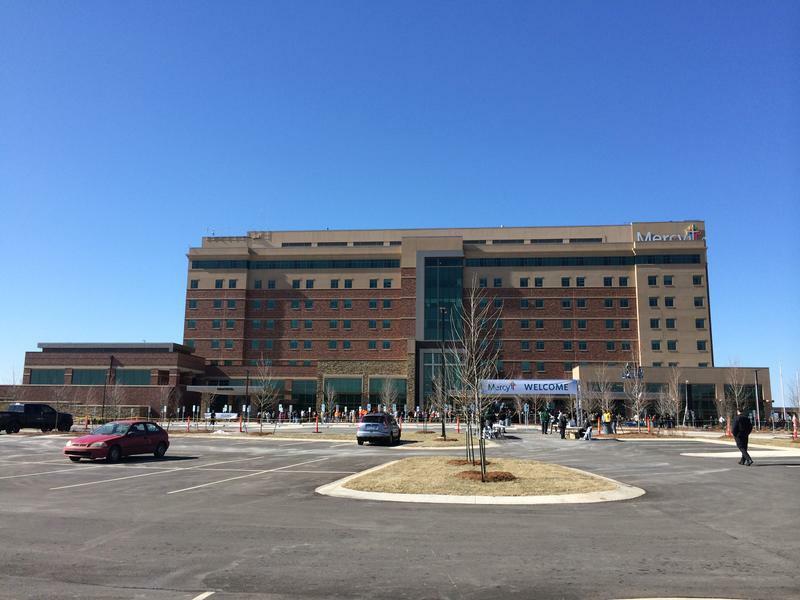 Plus, a conference last month brought thousands to Kansas City to talk about "white privilege." 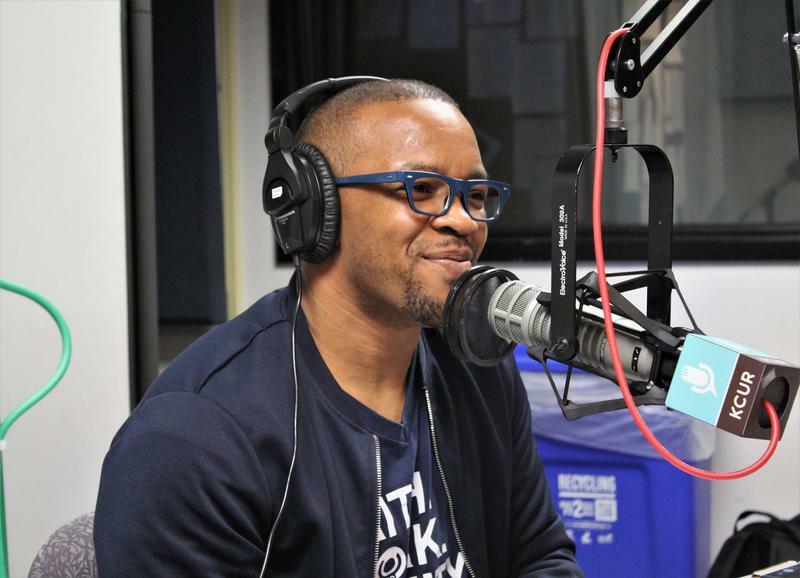 We discuss what our local communities are doing to address and respond to the concept. 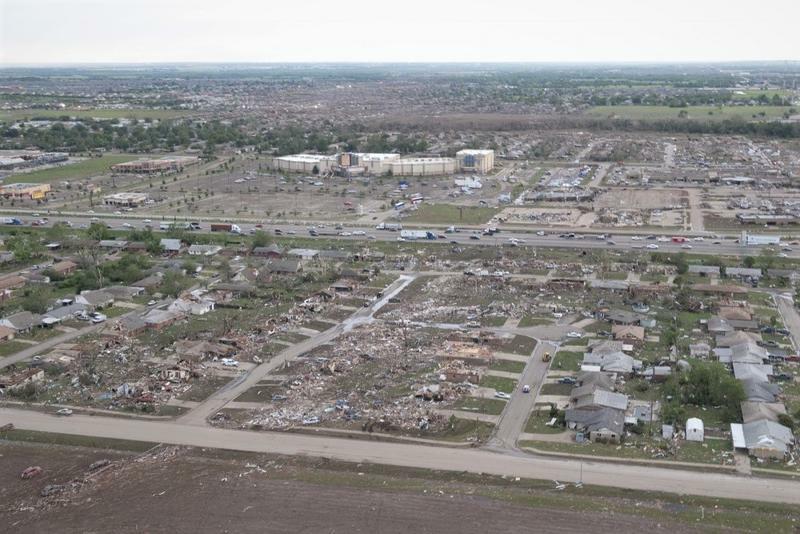 On May 4, 2007, an enormous tornado nearly wiped Greensburg, Kansas, off the map. What happened next was almost a laboratory experiment in re-engineering the classic American small town. 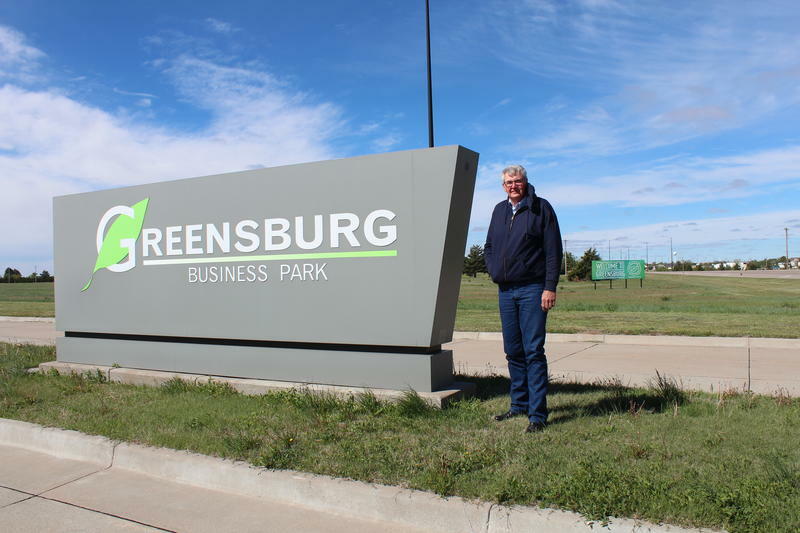 Like the towns all around it, Greensburg was in decline before the storm. In a bid to survive, town leaders decided to go green in a big way. Ten years on, the ambitious effort says a lot about the headwinds facing many rural towns. After the EF-3 tornado that destroyed homes in Oak Grove, Missouri, residents of the damaged neighborhoods were mostly in good spirits Tuesday afternoon – happy to be alive and grateful for neighbors who were helping clean up. Jennifer Swartz’s home on South Clinton Street was gone. She and her husband were having dinner in Lee’s Summit when the storm hit on Monday night. When they tried to return home, they hit a blockade and drove to Independence, where they spent the night with her husband's parents. 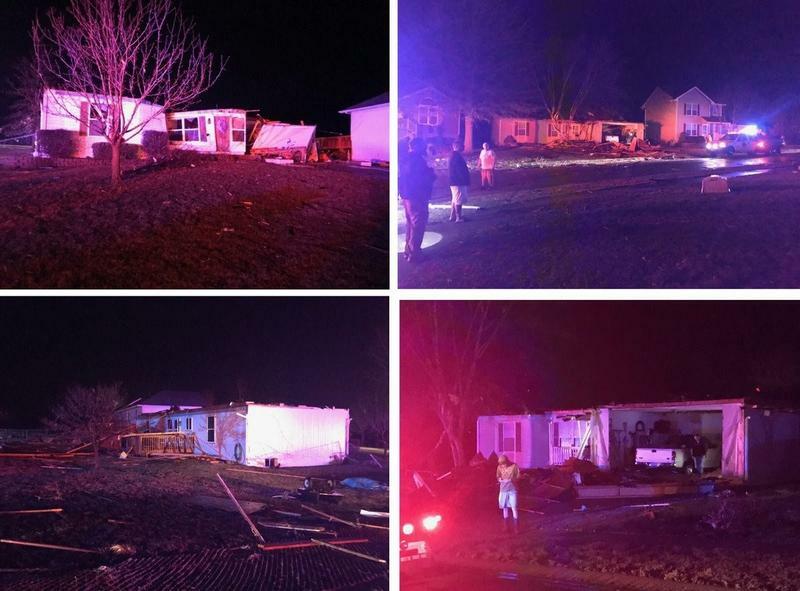 From Olathe, Kansas, to Oak Grove, Missouri, Tuesday morning, metro-area residents were surveying damage and catching their breath after a line of severe storms rolled through Monday night, causing widespread damage but no major injuries or deaths. The National Weather Service says two tornadoes touched down near Oak Grove and Smithville and officials are set to survey damage there and in Olathe. Schools in Odessa, Oak Grove and Lee’s Summit canceled classes Tuesday due to continued power outages and damage to some buildings. 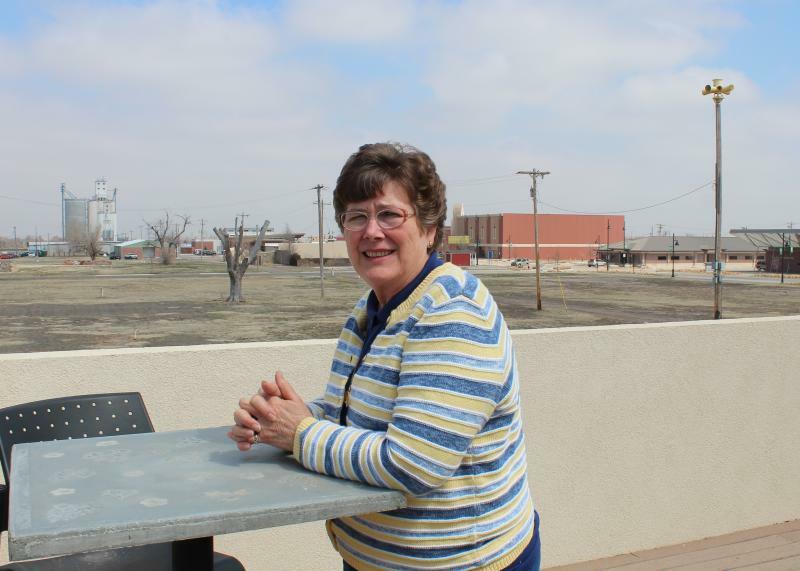 What Made Joplin's Disaster Recovery A Success? The rebuilding of Joplin after a devastating tornado struck in 2011 was generally applauded as a textbook example of how to take care of people when disaster hits. However, homeowners and businesses on the East Coast are still struggling in the aftermath of 2012's Hurricane Sandy. With large hail, rain and even one confirmed tornado sweeping through the Kansas City area Thursday, local Twitter users took to their cell phones with the hashtag #kswx to capture photos of the swirling, gray skies. We put together a few highlights — or lowlights depending on your tolerance for storms — of the weather. Does the Kansas we see in The Wizard of Oz have anything to do with the Kansas on this side of the rainbow? From tornadoes to costumes to politics, we explore the different interpretations of this classic American film. 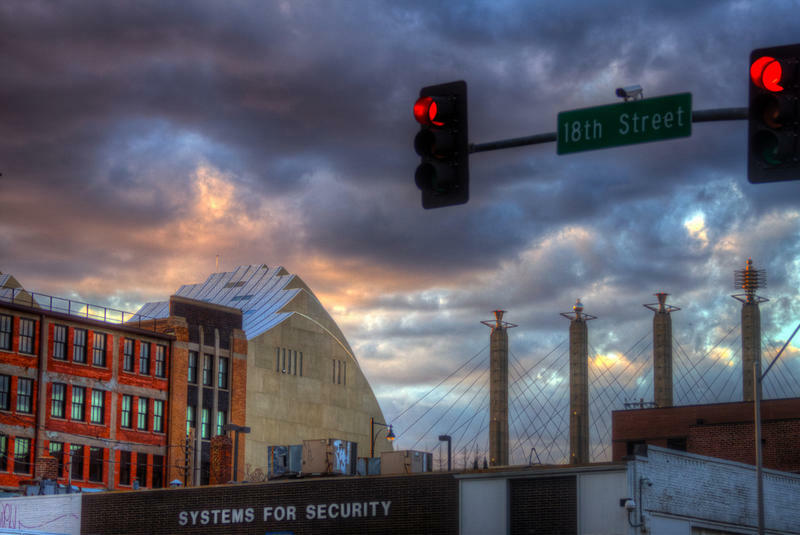 Meet the guy who oversees Kansas City's 127 tornado sirens. As the nation looks back on the 10th anniversary of Hurricane Katrina, which ravaged cities and communities along the Gulf Coast, we discuss how well the Kansas City area is prepared to deal with disasters of similar proportions — both natural and man-made. Chris Carroll is Emergency Planner for the city of Kansas City, Missouri. Justin Sorg is the Planning and Exercise Program Manager for the Mid-America Regional Council. If you were awake in the Kansas City metro around 11:25 p.m. Saturday, you may have heard a tornado siren ... but you may have not. 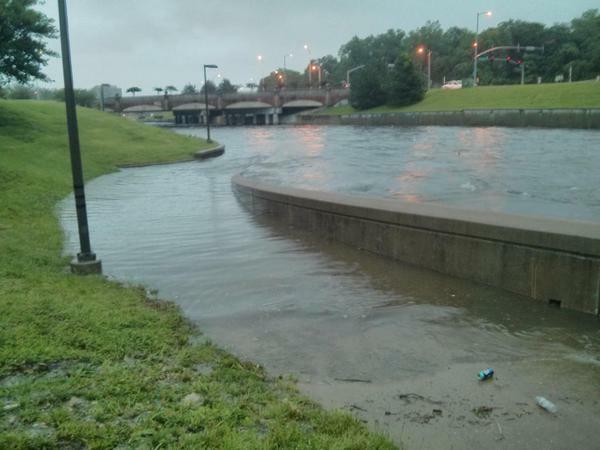 Around the same time, the National Weather Service was sending emergency alerts warning about flash floods in the area, creating confusion for many Kansas Citians. A storm pattern bringing thunderstorms, heavy rain, hail and high winds moved across the Kansas City metro Saturday night. 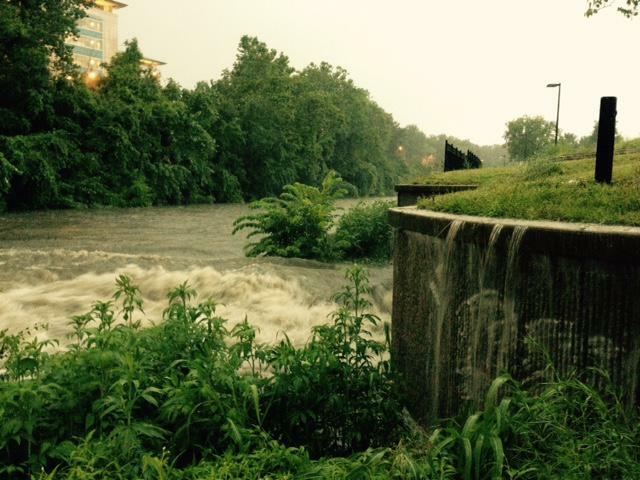 Flash flood and tornado warnings were issued for the region and thousands lost power. Most power had been restored by Sunday morning. Though there has been no major damage reported in Kansas City, the Clay County town of Mosby, Missouri, is under evacuation because of rising water, according to the Kansas City Star. Shortly after a massive twister struck his city in May 2011, Joplin, Missouri, resident Brandon McCoy described what he saw during what turned out to be one of the worst tornadoes in U.S. history. The tornado left a wide swath of destruction in its wake. One hundred fifty-eight people died. Property damage was catastrophic. Steve Bean is the guy who oversees Kansas City's 127 tornado sirens, each expected to alert people within a mile of potentially life-threatening storms. It's part of his job at the city's Office of Emergency Management. Even so, he doesn't have tornado nightmares. "In an odd way, I love it," he admits. "We spend a lot of time preparing for the 'big one,' so to speak. So it's kind of like — I guess it's like fishing. Once in a while, you want to catch something. Now, I don't want tornados to come, but we do like to be able to see that we made a difference." There probably isn’t enough tornado damage in Orrick, Mo., to qualify the small town 30 miles east of Kansas City for federal assistance. Though the May 10 tornado ravaged homes and the local school, Missouri Gov. Jay Nixon says it's unlikely claims will top the $8.4 million threshold needed for federal disaster relief. What do rosaries, guitars and “Lord of the Rings” DVD box sets have in common? They’re all objects that Kansas Citians said they would try to save if a tornado was on the way. Given this week’s severe tornadoes across the United States, we used social media and the airwaves to ask you: What would you grab if a tornado was approaching? We don’t advocate spending a lot of time scooping up material items if an incoming tornado is close to your home. 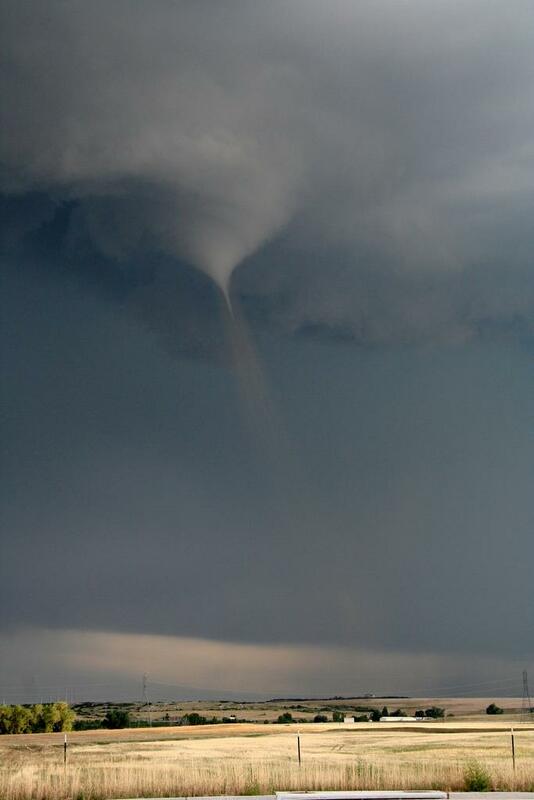 A massive EF5 tornado all but obliterated Greensburg, Kan., on May 4, 2007. Afterwards, city leaders saw a blank slate, a chance to reverse decades of decline by building a town for the future. Greensburg’s green building initiative, drew big money, and lots of volunteer help. But now Greensburg faces a crossroads. The town is stuck at half its pre-tornado population with few prospects for growth. Some blame trends slowly decimating most farm towns, others find fault with the green initiative. 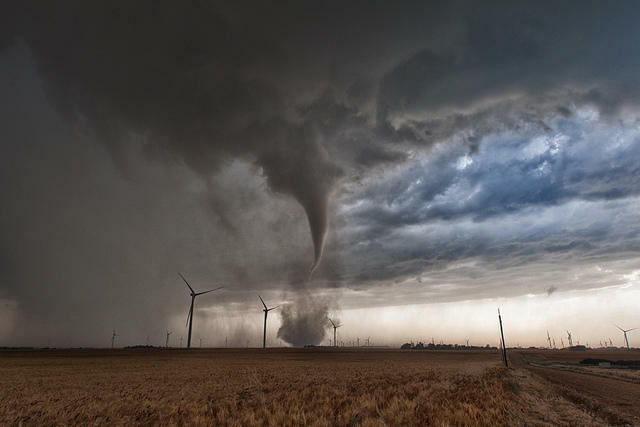 The booming thunderstorms and crazy spring weather have moved in, and any Midwesterner knows what comes with them—tornadoes. Most of us retreat to basements when those sirens sound, but a select few take that as a cue to go hunting for the cyclones. Last month, as we all know, a series of tornadoes devastated areas around Oklahoma City, with dozens killed and hundreds injured over several days of storms. Among the casualties were three men who were well known in the meteorological community and, indeed, to television audiences: Storm chasers Tim Samaras, his son Paul Samaras and Carl Young were doing interviews and sending back footage the day of the EF-3 El Reno storm that changed direction on them and killed them. In light of these tragic events we wonder, just what is a storm chaser anyway?